God's Amazing Power | Short Film "Rise Up in the Dark Oppression"
He is an ordinary Christian. During the years of his following Jesus Christ, he was persecuted and restricted by the CCP government. Later, he fortunately accepted the end-time salvation of the returned Lord Jesus—Almighty God, but was persecuted more cruelly by the Chinese government. In order to force him to betray God and sell out the brothers and sisters, the lackeys of the CCP hung him to a tree for three days and nights, and put many ants on his body. Being gnawed by the ants, he felt worse than death. Just when he was dying and couldn’t bear any more, he prayed to God to take his soul, and made a resolution that he would rather die than betray God. … An unexpected miracle happened. His soul went out of his body. He was taken to travel in a most beautiful world. Seeing that the heavens and the earth and all things were praising Almighty God, his heart was incomparably joyful, and the pain in his flesh disappeared. Under the cruel tortures of satan, it was God’s word that gave him strength, strengthened his faith, and made him rise from the dead, and stand a strong and resounding testimony under the oppression of the power of darkness! I was born in a poor, remote mountain area where we have burned incense and worshiped Buddha for many generations. There are Buddhist temples all over the land where all the families would go to burn incense; no one had ever believed in God. In 1995, My wife and I were in another part of the country where we believed in the Lord Jesus; after we returned we began sharing the gospel and the number of people who accepted it slowly grew to over 100 people. Because more and more people were believing in God, it alarmed the local government. One day in 1997, the police summoned me to go to the local police station, where the chief of the County Public Security Bureau, the chief of the National Security Bureau, the chief of the Bureau of Religion and the head of the police station as well as a few police officers were waiting for me. The chief of the Public Security Bureau asked me: “Why do you believe in God? Who do you have contact with? Where did the Bibles come from? Why don’t you go to the church for gatherings?” I said: “People were created by God, all the sunlight, air, and water are created by God; it is the law of heaven and earth that people believe in God and worship Him. The national constitution also expressly stipulates that citizens have freedom of religion; why don’t you permit us to freely believe in God?” The chief of the Bureau of Religion said: “There are limits to religious freedom, just like a little bird inside a cage; even though its wings and feet are not bound, it can only move within the cage.” When I heard him speak these fallacies, I became indignant and angrily said: “Then the national government is lying to its people!” When they heard me say this, they knew that they were wrong and didn’t have anything to say, so they just let me go home. At that time, I wasn’t aware of the substance of the CCP government’s persecution of believers until 1999 when I accepted Almighty God’s work of the last days. Through reading God’s words and experiencing even more cruel persecution from the CCP government was I able to see clearly that the CCP was the embodiment of Satan the evil spirit; it was the enemy of God as spoken of in the Bible: “And the great dragon was cast out, that old serpent, called the Devil, and Satan, which deceives the whole world” (Revelation 12:9). Just after 5:00 in the morning of June 28, 2002, I was preparing for a gathering with some brothers and sisters when suddenly we heard a pounding noise on the door. We quickly hid the books of God’s word and then opened the door. Unexpectedly, when the door opened, a dozen or so police came rushing in. They had electric batons and guns in their hands and forced us together, making us squat down and put our hands on our heads. After these evil police contained us, like bandits entering a village, they went into each room and made a mess of everything; they took our bedding and clothes and threw them all over the floor. In the past I had watched scenes on TV of organized crime and bandits looting and robbing, but I never expected that the “people’s police” would act just like the evil tyrants and bandits on TV. At that time I was extremely afraid and worried that they would discover the books of God’s word. I continuously prayed in my heart and asked God to watch over and protect us. After praying, I saw the marvelous deeds of God. They rummaged through the entire house and searched and confiscated our personal belongings, but they didn’t find the books of God’s word. I knew that this was God’s almightiness and protection and I knew that God was with us, and my faith in God increased. Afterward, they took us to the police station and at night, they transferred us to a detention center and locked us up. Three days later, the police gave each of us a 300 yuan fine that we had to pay in order to be released. In seeing the CCP government act like such rude and unreasonable predators that stripped people of their freedom of religion, I felt deep resentment and couldn’t help but think of God’s words: “For thousands of years this has been the land of filth, it is unbearably dirty, misery abounds, ghosts roam its every corner, tricking and deceiving, making groundless accusations, being ruthless and vicious, trampling this ghost town and leaving it littered with dead bodies; the stench of decay covers the land and pervades the air, and it is heavily guarded. Who can see the world beyond the skies? … Religious freedom? The legitimate rights and interests of citizens? They are all tricks for covering up sin!” (“Work and Entry (8)” in The Word Appears in the Flesh). In this ghost town of China, the ruling party of China hangs banners promoting “freedom of religion and freedom of human rights,” but they really persecute God without restraint and they arrest and persecute people who follow God. They don’t allow people to believe in God and walk on the correct path of life; they were eager to eliminate all the believers in one fell swoop. We had not broken the law or done anything bad; all we did was share the gospel to allow people to come to know God and worship God and break away from their lives of darkness and pain. Yet the CCP police wanted to arrest us, detain us and fine us, rather than care about those evil people involved in prostitution, murder and arson, and fraud and swindling; they allowed these evil people to get away with their crimes. In light of the facts, I was able to see that the CCP government was a demonic group that resisted God, blinded people and cheated people; they were the enemy of God. On November 28 of that same year, a few brothers and sisters and I were sharing the gospel with a leader of a sect. But we were reported by a wicked person and a dozen or so police surrounded our building and broke through the door. They had guns and batons in their hands and they yelled: “Nobody move! Put your hands up!” They searched our bodies and stole our money and valuables worth over 5,000 yuan. They ordered us to put our hands on our heads and squat facing the wall. Two young sisters at the time were afraid and I said to them: “We haven’t done anything bad, don’t be afraid.” As soon as I said that, several police immediately rushed upon me and beat me with their fists and feet, knocking me onto the floor. They flipped all the rooms upside down and turned them into a mess. They were more barbaric and ferocious than bandits looting a village. One sister in the room didn’t come out and an evil policeman rushed over and grabbed her tightly and pulled her out. Another evil policeman saw that she was quite pretty and started molesting her by touching her all over her body. The sister helplessly wailed and fortunately the landlord arrived just in time to put a stop to it, which allowed the sister to escape the coercion. At this time I could clearly see that slogans such as “the people’s police are for the people and if you have any difficulty, call the police” and “the police are the guardians of the people” were all lies. These evil policemen were purely a gang of local ruffians and gangsters! Afterward, they locked us up in the police vehicle and took us to the police station. They then handcuffed us in the corridor for two days and two nights giving us nothing to eat or drink. I could only persistently pray in my heart and ask God to guide us and give us faith and strength so that we would be able to stand witness in this environment. Later, the evil police interrogated a brother, and when they were not satisfied with his answers, a few evil police firmly pushed him down to the ground while another evil policeman stuffed dog feces into his mouth. The brother’s mental state had been severely provoked. In seeing this miserable situation, my heart became extremely distressed and a rage flared up inside of me. I wished I could charge up and tear them to pieces, but God’s word guided my heart: “I have some sympathy for the brothers and sisters that live with Me in this filthy land, therefore, I despise the great red dragon. … We are all victims of it and therefore I hate it to the core and wish to immediately destroy it. However, I also think that doing this would be to no avail and would only cause trouble for God, therefore, I will still say this—be firmly resolved to carry out God’s will—to love God … live out a meaningful, glorious and splendid life. … Are you willing to do this? Do you have this resolution?” (“The Way … (2)” in The Word Appears in the Flesh). God’s word caused me to cool down, and in trying to understand God’s word, I understood God’s will. God already extremely despises these evil devils, He wishes to immediately destroy them all, but in order to complete God’s work of the last days and perfect us, He needs to utilize the efforts of Satan. God uses its persecution to allow us to discern it, thus allowing us to thoroughly see the repulsive face and demonic substance of the CCP government. Thereby we can forsake it and break relations with it and completely turn our sincere hearts to God. God is always enduring the CCP’s frantic pursuit in order to obtain better results in His work, so what is it that I should suffer a little hardship so that I can obtain salvation as part of the creation? God has enlightened me and given me faith and strength; I want to emulate Christ and be firmly resolved to carry out God’s will—seek to love God! At this time I only wished that God would lead and preserve us to stand witness for God through the persecutions of Satan; I wished that we could use our love for God to counterattack Satan’s tricks so that it will fail shamefully. On the third night, the evil police transferred us to the County Public Security Bureau and interrogated us through the night. A deputy director first used flattering words to entice me, saying: “Speak up! You have wife, kids, and parents at home who need you to take care of them; if you hurry and speak up, then you can go home, OK?” After hearing these words, I was somewhat tempted, and I thought: “If I tell them some insignificant things, then I can go and wouldn’t have to stay here and suffer.” At that moment, I was awakened by God’s words: “I will give no more mercy to those who were utterly disloyal to Me in times of tribulation, for My mercy only extends so far. Moreover, I have no liking for any who once betrayed Me, much less do I wish to associate with those who sell out the interests of friends. This is My disposition, regardless of who the person is” (“You Ought to Do Enough Good Deeds to Prepare for Your Destination” in The Word Appears in the Flesh). Through God’s majestic words, it was like I could see God gazing down at me, waiting for me to reply. Consequently, I quickly wiped out the thought and in stern righteousness I said: “I haven’t planned on leaving since I got here!” When the evil policeman saw that his trick wasn’t working, he exposed his original demonic face, and the deputy director lifted a bucket of pig slops over my head as if to pour it on me. I said to him: “This is cruel and unusual punishment you are using to extort a confession.” When he heard me say this, he suddenly stopped and put the slops down without pouring it on me. Another evil policeman wearing leather shoes stomped on my big toe with his heel and rolled it around and around with as much pressure as he could. The acute pain transmitted throughout my entire body and I couldn’t help but cry out in pain. The clothes on my body were soaked in sweat, but the evil policeman fumed with rage and continued to stomp and roll until my big toenail was ripped loose. By this time, my toe was already mutilated and bloody. In my extreme pain, I persistently cried out to God, asking God to protect my heart so that I wouldn’t give in to Satan and so that I would be able to stand witness for Him. The devil’s cruelty is much more than this; I saw a brother coming back from interrogation and he had already been tormented to the brink of death; his whole body was scarred and bruised and he looked like he was dying. The evil police were afraid that he might die, so they reluctantly released him. Later, they took me with a brother and a sister to the city’s SWAT team for further interrogation. When we arrived at the SWAT team, the evil police forced us to strip all of our clothes off and then they handcuffed our hands and put shackles around out feet. They then forced us to skip three laps around the courtyard to humiliate us. Afterward, they separated us into prison cells. The people locked up in the prison cells were all murderers, they were all like demons and monsters. The evil police commanded the prisoners to torment me, but because of God’s protection, the prisoners not only wouldn’t bully me, they actually took care of me. After four days, the evil police tried to force me to betray God and sell my brothers and sisters, but I wouldn’t talk. They took me and another brother and dragged us into the courtyard where they handcuffed us and put fetters around our feet. Black bags were placed over our heads and they suspended us from a tree in the center of the courtyard. In a craze of cruelty, they placed ants all over the tree, which continuously crawled on our bodies biting us. The torture of thousands of ant bites was similar to the torture of thousands of arrows through the heart, which made death seem more appealing than living. I could only pray to God to protect my heart and spirit with all my might, so that He would give me will and strength in my suffering, allowing me to resist betraying God. At this time, God’s words appeared in my mind: “everyone must suffer the last hardship for Me so that My glory may fill the heavens; do you understand what I mean? This is the last thing I require of people, that is, I hope everyone is able to firmly and resoundingly testify for Me in the presence of the great red dragon, and offer up yourselves for Me for the last time, and satisfy My requirements for the last time. Can you really do this? In the past you have not satisfied My heart; are you able to ‘break the conventional’ at the last time?” (“The Thirty-fourth Utterance” of God’s Utterances to the Entire Universe in The Word Appears in the Flesh). God’s words caused my heart to be filled with strength. God suffered being pursued in every possible way by the CCP government in order to save us. He had no pillow and no place to call home. Today I am able to suffer with Christ; this is God’s love and is God’s exaltation for me. As long as I am able to give glory to God, I will be happy and willing to die. I relied on God’s word to get through each minute and second of the pain. We were suspended on the tree for two days and two nights. On the third day, I really couldn’t take it anymore. It was early winter at the time and it was raining and all I was wearing was a single unlined garment. I was hung from the tree by my bare feet and I had not had anything to eat or drink. The suffering of starvation and cold as well as the unbearable pain made me want to die; all I could do was pray with everything I had. I was deeply afraid that because of the weaknesses of the flesh, I wouldn’t be able to handle the torment and would betray God. In the midst of my pain, I remembered the apostle Stephen from the Age of Grace. He was stoned to death by the multitude because he was spreading the gospel of the Lord Jesus. Before he died, he asked God to accept his spirit. Consequently, I prayed to God: “Oh God, my flesh is too weak and now I have taken on more pain than I can bear. I desire that You would take my spirit, for I would rather die than betray You.” After praying, the most unexpected miracle happened: I had an out-of-body experience and I was brought to a field of grass. There was lush, green grass everywhere and cattle and sheep all around. My frame of mind was especially at ease and I couldn’t help but praise God aloud: “Praise Almighty God aloud, all things in heaven and earth praise You, praise You, all will praise You. Let all Your angels rise and praise You, let all Your heavenly hosts praise You, the expansion of the universe praises You—Almighty God! The shining stars praise You, the heavens and the earth and the waters praise You, they all praise You. Let the mountains and hills praise Almighty God, let the waves and billows praise You, praise You in the highest places—Almighty God! Praise Almighty God in the most holy place, praise You with tambourines and dances, praise You aloud! Praise Almighty God with musical instruments and the sound of the trumpet, let the holy people in Zion praise You, let all people praise You—Almighty God! Oh Almighty God, praise You aloud! The loud peals of thunder praise You, praise You aloud! The mighty expanse praises Almighty God, let everything that has breath praise You, the singing of praise shakes the ends of the earth, praise God!” (“Praise Almighty God Aloud” in Follow the Lamb and Sing New Songs). While I completely immersed myself in this incomparable joy and lived in the boundaries of freedom, the pain, hunger and cold of being hung from the tree as well as the pain of the biting of the ants all disappeared. When I awoke, it was already the third night and the evil police took me down from the tree. I was hung for three days and not only didn’t die, I was also full of spirit. This truly was the almighty power and miraculous protection of God! I gave a heartfelt thanks and praise to God. On the fourth day, the evil police interrogated me again and tried to force me to sell my brothers and sisters; they also forced me to admit that I believed in a cult, making me betray God and abandon the true way. The enlightenment of God made me think of God’s word: “When you are experiencing trials, it is normal for you to be weak or be passive within, or uncomprehending of God’s will, or unclear about the ways of practice. Yet above all, you should have faith in God’s work and, like Job, should not deny God” (“Those Who Are to Be Made Perfect Must Undergo Refinement” in The Word Appears in the Flesh). God’s words gave me the courage to put truth into practice and to testify of God. No matter what, I couldn’t resist God or blaspheme against God. Therefore, I boldly and confidently said: “I believe in Almighty God, who is the only true God ruling over all things! I don’t believe in an evil cult, you are distorting the truth and framing me!” After one evil policeman heard this, he flew into a rage and grabbed a long wooden stool and began crazily beating me to death with it. He hit me to the point that I was spitting out blood. I lay paralyzed and knocked out on the floor. When they saw that I was unconscious, they splashed cold water on me to wake me up and continue beating me. During this demonic and inhuman beating, the front of my chest and my back were completely black and blue and I had suffered much internal damage. One week later, my urine was all blood and my right kidney was seriously damaged (even today it is still very painful). One month later, the evil police couldn’t find any evidence, so they made up some false materials and forced me to sign it. Then they locked me up in the city detention center. Three months later, they charged me with “destroying the enforcement of social law” and sentenced me to a year of reform through labor. At the labor camp, I lived an inhuman life. Every day I was hungry and I had to work a dozen or so hours a day. I was frequently bullied and insulted by the prison police; they were either using electric batons on me or locking me up in a small, dark room. If it were not for God watching over and protecting me, I would have been tormented to death by the evil police. On November 7, 2003, my sentence was fulfilled and I was released from the hell on earth. After experiencing that cruel persecution, I finally saw clearly that the CCP government’s proclamations “the communist party is great, glorious and correct” and “China has freedom of religion” among other sayings, are actually just expressions in a sinister plot to deceive the public and fool the citizens. I really hate this old devil from the depths of my heart. It speaks flattering words and does extremely evil things. In order to ban God’s work of the last days and make China an atheistic place, it pursues and slaughters believers without restraint. Its level of cruelty has already reached great heights and has made people boil with anger! I think back about how I was constantly cruelly tortured and forced into confession and cruelly tormented by demons during my interrogation process. I was knocked out on several occasions and if it weren’t for God’s protection, I would have been swallowed by those demons. In the time of my greatest weakness, Almighty God’s word continually encouraged me: “Have you ever accepted the blessings that you were given? Have you ever sought the promises that you were made? You will surely, under the guidance of My light, break through the stranglehold of the forces of darkness. You will surely not, in the midst of darkness, lose the light guiding you. You will surely be the master of all creation. You will surely be an overcomer before Satan. You will surely, at the downfall of the kingdom of the great red dragon, stand up amid the myriad throngs to bear witness to My victory. You will surely be resolute and unwavering in the land of Sinim. Through the sufferings you endure, you will inherit the blessing that comes from Me, and will surely irradiate all within the universe with My glory” (“The Nineteenth Utterance” of God’s Utterances to the Entire Universe in The Word Appears in the Flesh). God’s words gave me something solid to rely on! It allowed me to enjoy the enlightenment and guidance of God’s words during my extreme pain and weakness, which is the only way I could have gotten through this dark and drawn-out time period. Even though I have experienced being arrested and persecuted multiple times by the CCP government, and my flesh has suffered ruthless cruelty and torment, I truly understand many truths that I didn’t understand in the past and I see clearly the demonic substance of the Chinese government’s reactionary evil. 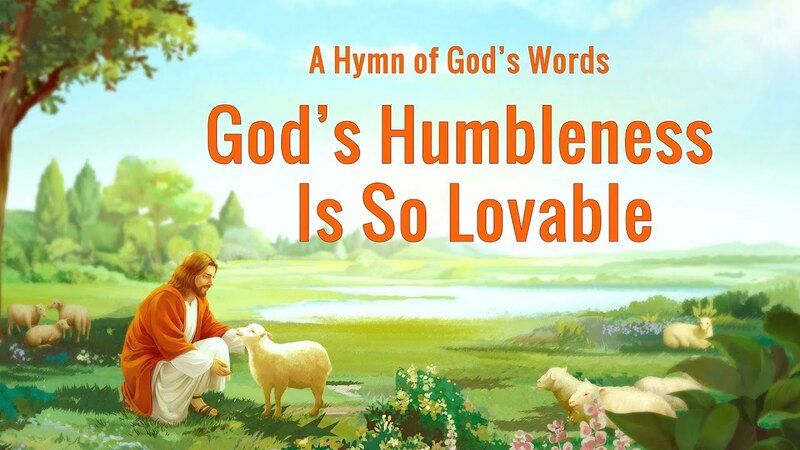 I have also experienced Almighty God’s true love for me and have tasted of God’s almighty wisdom and wonderful deeds. It arouses me to seek to love God and satisfy God. Today, I still fulfill my duty in the church as I did in the past; I follow God on the correct path of life, I seek truth and seek to live a meaningful life.